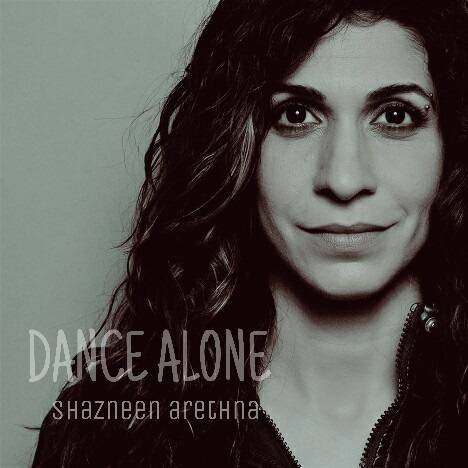 DANCE ALONE | SHAZNEEN ARETHNA | OK Listen! Time has a wonderful way of showing what really matters. In all these years as a musician, artist, singer... I haven't been brave enough to share my music. Time --- waiting for no one, went on by and I kept writing for myself. But now at this point in my life , i feel the need to put my music out there , and share it with the world. With Warren Mendonsa a.k.a. Blackstratblues, producing my EP , I knew my songs were in safe hands. He has weaved his magic into my lyrics and melodies, and my EP has turned out to be everything I wanted it to be. Life is about dreaming big and achieving those dreams. Only time will tell if that was what you really wanted. Sometimes your mind takes longer to accept what your heart knew all along. All our actions have consequences ---- and whatever you may have done through life , your final goal, is peace of mind . But life ain't that easy. To the most special people in my life --- my family. To them I say, I choose you ... Over and over again, without a pause, without a doubt, in a heartbeat .... I'll keep choosing you. Cos without you I ain't no good. Shazneen Arethna is a singer-songwriter who lives in Mumbai . She has sung with numerous bands in India and has performed all over the world. She is known for her powerful and electric performances on stage.